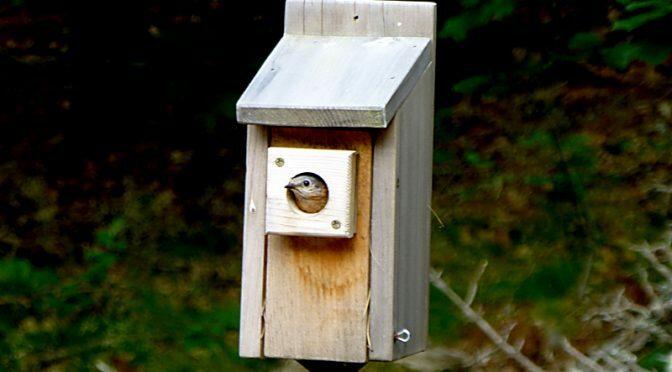 When do Bluebirds leave their birdhouses for good? Is it when they fledge? I keep seeing this little Bluebird sticking its head out of the hole looking around. I’m not sure if there are other little ones in there too. And maybe this is a different one each time. I think they fledged a couple of weeks ago. So I wondered if Bluebirds go back to their bird house at night after they have fledged? And for how long? Does anyone know the answers to these questions? Everything that I have read says that Bluebirds do not go back to their nest or birdhouse once they have fledged. Could Mama and Papa have produced a new clutch of eggs? Yesterday we watched a Bluebird bring nesting materials to a house just vacated by a Chickadee. So you may be right! I think Bluebirds have 2 clutches in a season but I didn’t realize they could be so close together. I thought they would wait a few weeks! !